We started telling a story together in 2009. Kessid Church was formed in April of 2009 with a dream of being a church that did not hold any one person besides Jesus in the limelight. In short, we want to be a ministry without applause, that moves quietly yet powerfully in our community. Our intention is to positively impact the community and existing area organizations with our time, talent, and resources. While doing this, we want to maintain family as the highest priority after our personal relationships with God, and always focus on being a community that honors Christ. We started with a group of friends and families that believed in this vision of church. We didn’t have a building, equipment, staff, denomination, or any church organization backing us. What we did have was a passion to focus on what we saw as the most important part of a church: being a Christ focused community. We started from scratch, using what we already had, and most importantly, we prayed. We were blessed to have a number of team members who had prior ministry experience. With that knowledge, experience, and a lot of faith, we soft launched on April 5th of 2009. Our hope is to keep building and stewarding a healthy and vibrant church community where we can raise up and equip the next generation in a way that honors God and prepares them for their own journey…then give it all away to them. After a successful soft launch, we officially opened our doors at the Firstenburg Center in Vancouver, Washington on October 4, 2009. God blessed our little church and soon it needed more space. We first moved to a facility in Fisher’s Landing, and as we continued to expand God brought us to Endeavour Elementary School. We held services at Endeavour for several years while our staff met in homes or club houses because we had no permanent location. Even the copy machine lived at the home of our production volunteer until the beginning of 2015, which was when we settled into a brilliant space we called the Kessid Ministry Center. The Center was home to our church offices and mid-week ministries, but God continued to bless our Sunday gatherings and we outgrew Endeavour. We looked for a new place to hold services, and God guided us to an excellent location at Clark College. We moved our Sunday services to the Gaiser Student Center in Clark College on Easter Sunday of 2015. This facility has allowed us to serve our children’s ministry and congregation in ways we couldn’t have imagined! Then, an amazing miracle happened early in 2017. Kessid was given, debt free, a church building with over 30,000 sq. ft. in Uptown Vancouver! We are in the process of remodeling this amazing location. 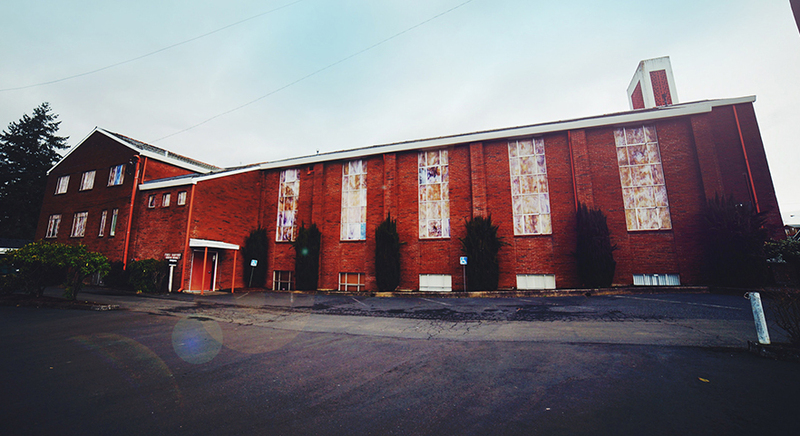 You can find out more about our new church home at www.kessiduptown.com. Sunday services are still held in the Gaiser Student Center at Clark College 1933 Ft. Vancouver Way until our remodel is complete. As we look to the future we are so grateful for God’s provision, guidance and steadfast love toward us. We are incredibly honored that God has blessed us and chosen us to do this great work. We give thanks to Him and give Him all the glory!